"Although the Warlock is not the Knight's opponent, that Yang Xi and Shen Yanxiao seems to know each other. There's no guarantee that he will not deliberately lose this match." A person among the crowd surmised with concealed malice. "Exactly. If not for the other side losing on purpose, who would believe that the Warlock can win ah." "Aiyo, that will really be boring. If people are really going to throw their matches away to let the Warlock be the winner, isn't this letting a Warlock become the representative of Long Xuan Empire to the barren land? Wouldn't this make us a laughing stock?" The display of support of the four animals to Shen Yanxiao before had left a certain impression in everyone's mind. They subconsciously thought that Shen Yanxiao must have used some trick to win over the other four individuals, and that the four people would certainly lose this tournament on purpose to let Shen Yanxiao be the winner. This kind of tournament was not what they wanted to see. Yun Qi was listening to the discussions around and his mood was very complicated. He began to worry about Shen Yanxiao again. She had just appeared in her first battle but the people's comments were already this unbearable. He was afraid that even if she won with her real strength, these people would still not be convinced. Could it be that the people of the Radiance Continent would never be able to accept the Warlocks again? The gong sounded to signal the start of the match. Yang Xi and Shen Yanxiao began the real battle. Dut to the tournament's field, Knights could not bring any mount. Nevertheless, Yang Xi's speed was still very fast, almost at the moment when the gong sounded, he had already thrust the long spear in his hand towards Shen Yanxiao. His slender figure flashed like a lightning. It was so fast that people were not able to catch it with their eyes. Shen Yanxiao responded almost at the same time. At the very moment when Yang Xi attacked, she quickly cast a single curse on herself that would enable her speed to become much faster. The effect of this single curse technique would only last for a very short time, it could not be compared with the Acceleration Potion at all. But during its effects, she would become extremely fast. The two people fought like a flas.h.i.+ng lightning and rumbling thunder. A silver light flickered and the long spear swept forward. The pet.i.te figure escaped this seemingly famous strike just like a ghost. At the moment she turned over, Shen Yanxiao's ten fingers shot and two single curses had immediately been imprinted by her hands. Yang Xi detected Shen Yanxiao's actions. He quickly withdrew his body and put some distance between them. In just a matter of seconds, the two people fought back and forth, and this speed made all the voices of doubt disappear completely. Any Knight could tell, the attack that Yang Xi had performed was one of the powerful attack skills of the Knights— the Dragon-slaying Spear. This strike, among the numerous skills of the Knights, was the most aggressive and lethal move known to the public. When one used this move, it must be an all-out attack, otherwise, such speed could not be achieved. If you want to deliberately lose this battle, it was absolutely impossible if you use this attack. As soon as the match started, Yang Xi put out his att.i.tude— he was taking this battle seriously! Those people who were still suspicious shut their mouths close. They were very clear that if Yang Xi really intended to lose this match on purpose, it was absolutely impossible for him to display such a strong offensive attack. And the accuracy of his attack had no slightest offset even. If Shen Yanxiao did not dodge in time, the spear had probably run through her the next second! The two people, who were obviously friends before, were now fighting like enemies. This made a lot of people feel extremely astonished. And what made them even more astonished was that at the speed of the Dragon-slaying Spear, Shen Yanxiao could actually react in such a short time and completely avoid the blow from Yang Xi. Just how astonis.h.i.+ng and terrible her reaction rate and judgment ability was? With the slightest mistake, she could be seriously injured. You're Read The Good for Nothing Seventh Young Lady Chapter 546 online. If you find any errors or translatation mistakes, please let us know so we can fix that as soon as possible. You're reading The Good for Nothing Seventh Young Lady by Author(s): North Night,夜北. 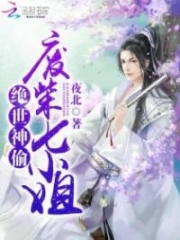 This novel has been translated and updated at LightNovelsOnl.com and has already 3770 views. And it would be great if you choose to read and follow your favorite novel on our website. We promise you that we'll bring you the latest novels, a novel list updates everyday and free. LightNovelsOnl.com is a very smart website for reading novels online, friendly on mobile. If you have any questions, please do not hesitate to contact us at [email protected] or just simply leave your comment so we'll know how to make you happy. Current Time is 26-Apr-2019 16:41:14 PM.